WordPress is no longer known as just a great blogging platform, but is also considered as the best CMS platform used for developing full-fledged business sites to online stores and much more. All you need is to select a WordPress theme, and you can have your site up and running in a matter of few minutes. There are dozens of free and paid options available when it comes to choosing a WordPress theme. Picking the best WordPress design template from an unlimited pool of themes make novices feel overwhelmed, and they might end up selecting a low-quality or inappropriate theme. While you can found thousands of free themes in the official WordPress Theme Directory, many more thousands can be found in third-party marketplaces like ThemeForest, ElegantThemes and many others. Certainly, you might wonder the things you should consider when selecting your next WordPress theme? Here, in this post we’ll discuss some considerations that best differentiate between the themes and thereby help you pick the right theme. Most people usually select themes based on design and functionality. While some of them appreciate a well-designed theme with a polished interface, a few others seem more interested in choosing a theme containing features like theme options panel, page builder, support for plugins, etc. However, a “good” theme is one with a perfect balance between an alluring design and functionality. In short, consider choosing a WordPress theme that features not only an impressive design but also contain essential (and relevant) features. 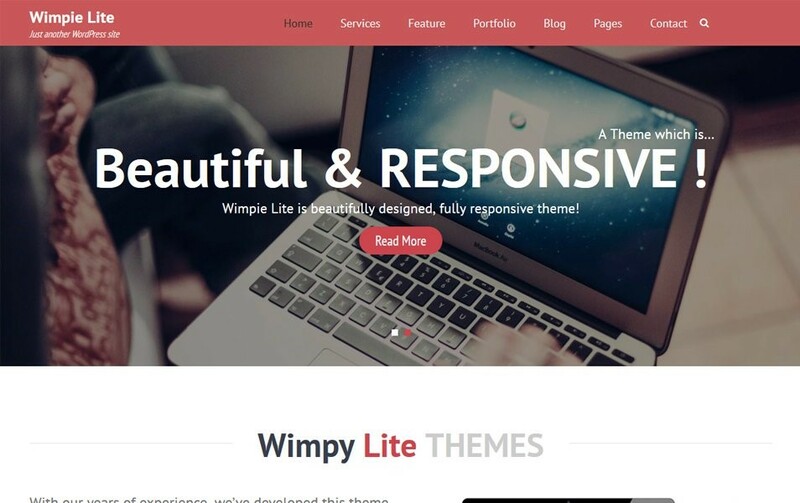 For example, Wimpie Lite business theme creates an excellent balance between a beautiful design and features with fully customizer based support. It is a responsive theme that offers all the options needed for customizing the theme based on your needs. The theme even enables you to visualize the changes made to the design instantly. A few years ago, a theme price was considered as a good sign of its quality. On the other hand, free themes were avoided due to poor code. But the things have changed, you can now find plenty of free themes created using best coding practices and outstanding support. So, there isn’t any final winner. Thus, to decide between free and premium WordPress themes, it is imperative that you must check their pros and cons before making a decision. Unique design: This is indeed the most obvious benefit you get to enjoy with a premium theme. Many websites may use a common theme available for free, but it’s uncommon to find a paid theme used by several sites. Better customization opportunities: Premium themes come with plenty of customization options, including the layout options, page builder modules, and many more advanced features, unlike free themes. More updates: Compared to free themes, premium ones are updated more often. Given the fact that WordPress sites are prone to vulnerabilities, having a theme that is frequently updated can help you deal with security issues in a better way. Cost: Premium themes come at a price. Since not all of the people have plenty of money to spend on their website development project, most of them avoid using a paid theme. Unnecessary Bloat: Almost every paid theme come with tons of features. While some of the features are crucial for the success of a site, several others only make the website cluttered. Cost-effectiveness: As a start-up, you might have a limited budget to begin with WordPress website development. If that’s the case, then you can easily find a free theme suited for your site. Relevant Features: Unlike a paid theme, a free one does not contain unnecessary bells and whistles. Put it simply, you won’t find unwanted features and components in free WordPress themes, which keep your site bloat-free. Rather such themes only come loaded with relevant features. 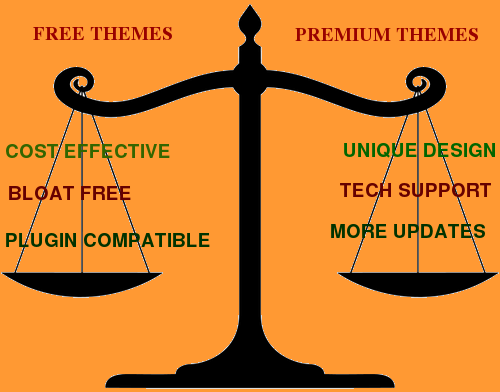 Better compatibility with plugins: Free WP themes are more compatible with plugins than premium themes. That’s because all the free themes are required to meet certain standards to be approved to get published on WordPress Theme Directory. Less support: There’s no denying that even free themes comes with ongoing support. However, the support that free themes provide is not as good as that of premium themes. Easily recognizable design: So, when you need to decide on a free or paid theme, it is better to hear what customers are saying. Listening to other people opinion on WordPress theme can help you in making a more informed (and correct) decision. So, when you need to decide between a free or paid theme, it is better to hear what customers are saying. Listening to other people opinion on WordPress theme can help you in making a more informed (and correct) decision. One crucial aspect you must always consider when choosing a WordPress theme is checking out the latest WordPress design trends. Selecting a theme based on the trends that dominate the web will more likely increase your chances of achieving success in your website development venture. 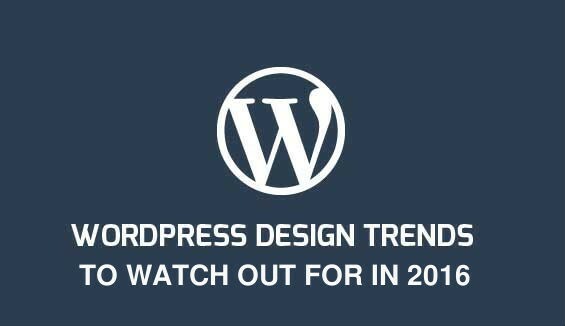 Below are some of the biggest WordPress design trends you should consider before choosing any theme. 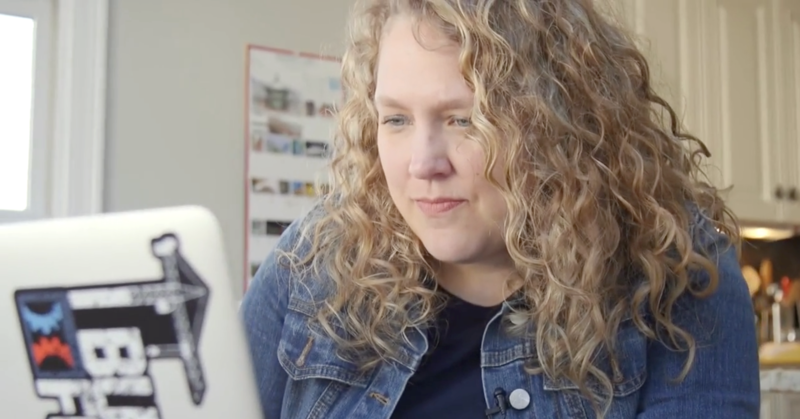 One-page Layouts Are Here to Stay: Using themes with one page layout isn’t a new trend and has been used by WordPress sites for a couple of years now. But, as more and more one page layouts are being used by business organizations and developers for developing a product website, landing page, etc. – the one-page layout trend will continue to dominate the web in the distant future as well. The Need For Parallax Effects Will Grow: The parallax effect trend doesn’t seem to be fading anytime soon. Parallax is an interesting concept that renders two-dimensional experience which makes a website theme look visually appealing to the viewers. So, it makes sense to choose a theme that contains parallax effects. Creating a Mobile-first Design Will Take Precedence: An online report concludes that nearly 80 percent of online surfers own a Smartphone. That means that you may lose many customers if your site is not built to suit the needs of mobile users first. 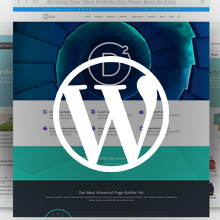 Moreover, with mobile devices becoming the primary medium of Internet browsing than desktop computers, focusing on creating a mobile-first WordPress design will likely become a popular trend. So, you must pick a WP theme based on the concept of mobile-first design. Use of WordPress For E-commerce Will Increase: In a recent interview, WordPress creator (i.e. Matt Mullenweg) said that the WordPress development team will focus more on providing better e-commerce solutions. So, you can expect WordPress to be used for building e-commerce sites in the coming years. With continuous rise in online stores, it makes sense to opt for WordPress e-commerce theme that could help you gain a competitive edge in the eCommerce industry. One last thing that you must keep in your mind when choosing a WP theme is that it must be compatible to security plugins. With the rise in the number of attacks on WordPress sites, it is imperative that your theme is ready to deal with the security breach. Besides considering WordPress security whilst selecting a theme, make sure to focus on the three essential considerations discussed in this post for making the right choice. Sarah Parker is a experienced professional in Designs2html Ltd – a nice company which likes to convert website to WordPress in best manner. She has been working here since 2009 and currently at senior level.